The first National Period Pride Day was declared by NUS on Thursday and the University of Sussex took part in a unique way. A section of Room 76 was dominated by posters, paint and playdough to engage in some light-hearted fun with a serious message. Period shaming is not just about the embarrassment that surrounds menstruation, but the encouragement to keep menstruation discreet. 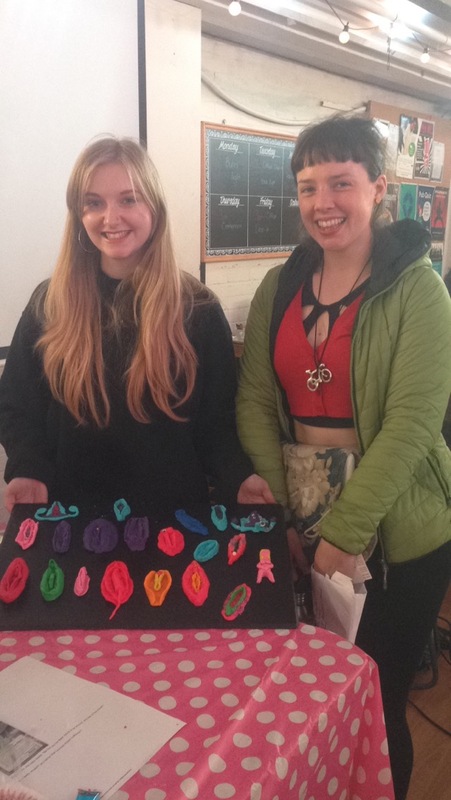 The event also addressed the much discussed issue of Tampon Tax, which the Students Union has been tackling by taking profits off sanitary products in the Union Shop and holding a Free Periods campaign. President Barack Obama recently said he suspected Tampon Tax was put in place because people who did not have vaginas were making the laws. The Free Periods event which is held every Wednesday in Falmer house has proved to be a success since it began in October last year. Period Pride also collected donations of sanitary products for homeless shelters in Brighton and refugees in Calais with the Free Period stand offering a ‘take one donate one’ policy. The Free Period campaign usually allows students to take two packets of sanitary products, but Period Pride gave the opportunity for students to donate their second packet to people that face great difficulty when menstruating due to the expense of products. With activities such as knicker painting and moulding vaginas from playdough Period Pride was deemed to be a surprising success. National Period Pride Day was founded by the Feminist Society at Newcastle University last year, and has been adopted by a number of institutions since. We need Poo Pride and Pee Pride too. Pooing and peeing are natural bodily functions and no one should be ashamed of it!